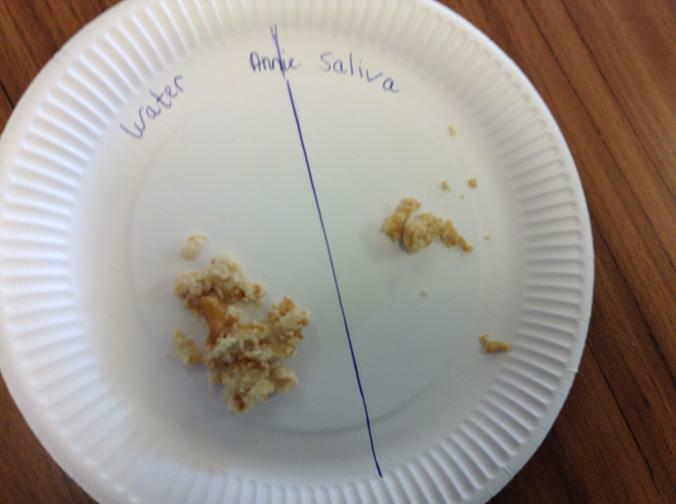 How saliva works on food. 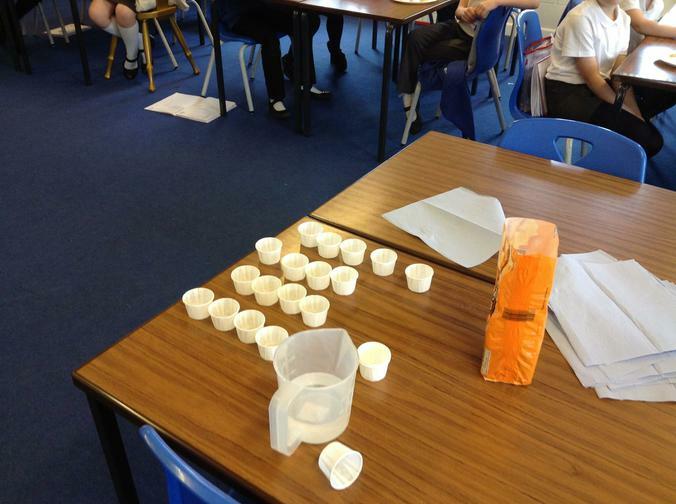 We decided to have plan an investigation on how saliva works on food. 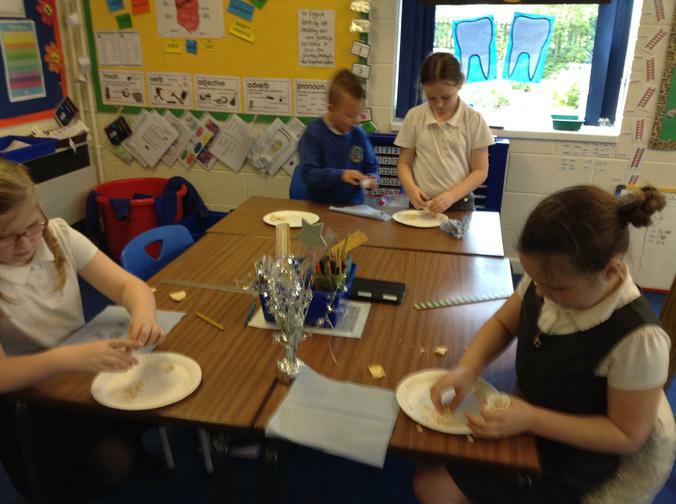 We had a piece of cracker and chewed it until we could feel that our molars had completely ground the cracker into a soggy clump. 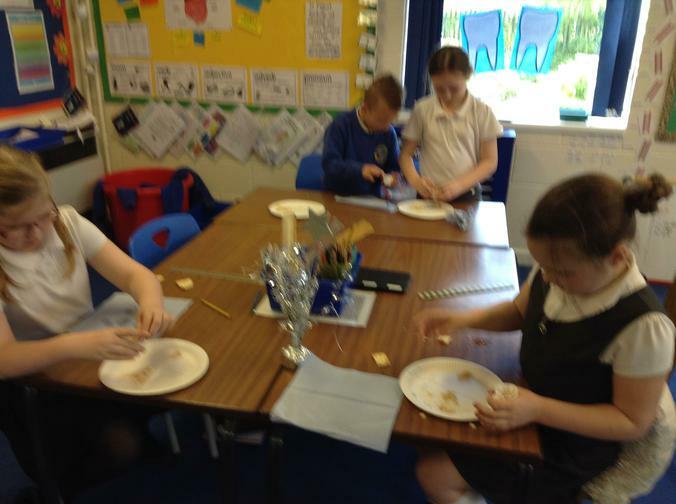 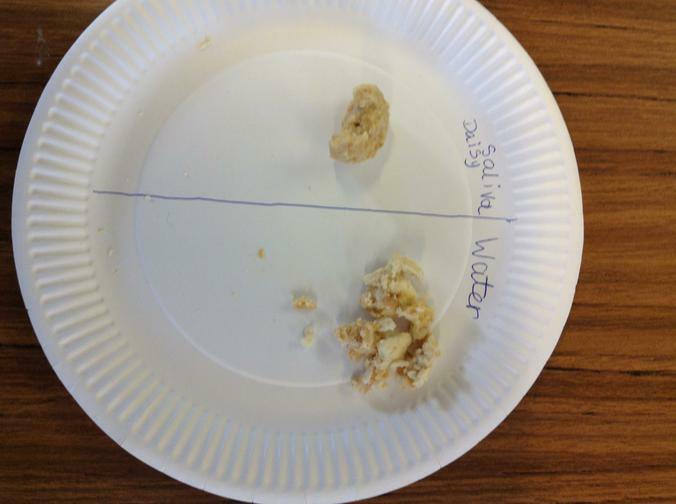 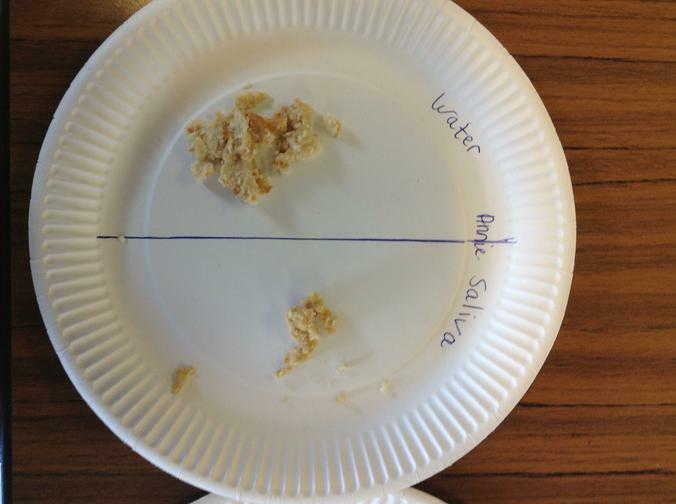 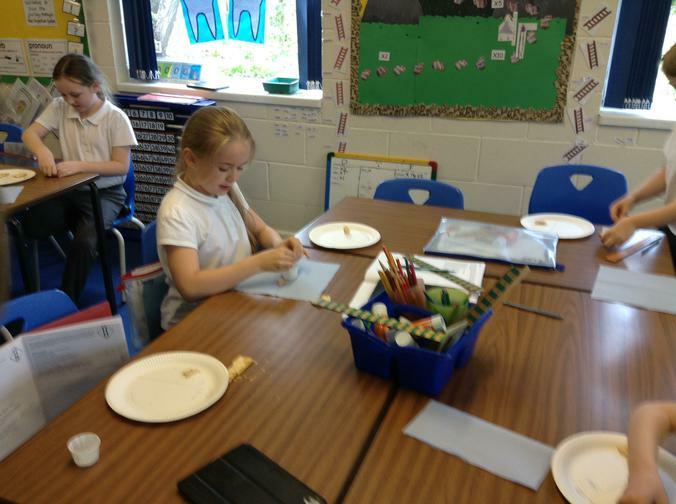 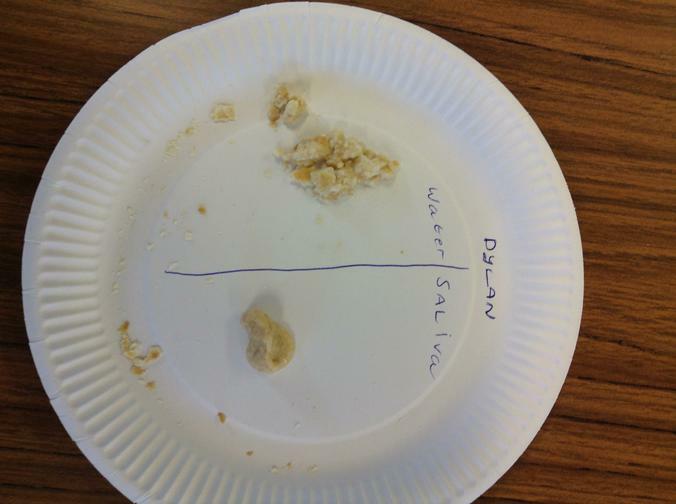 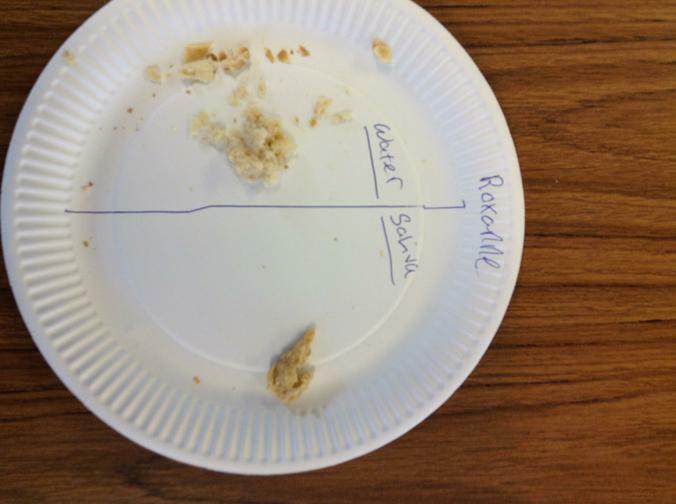 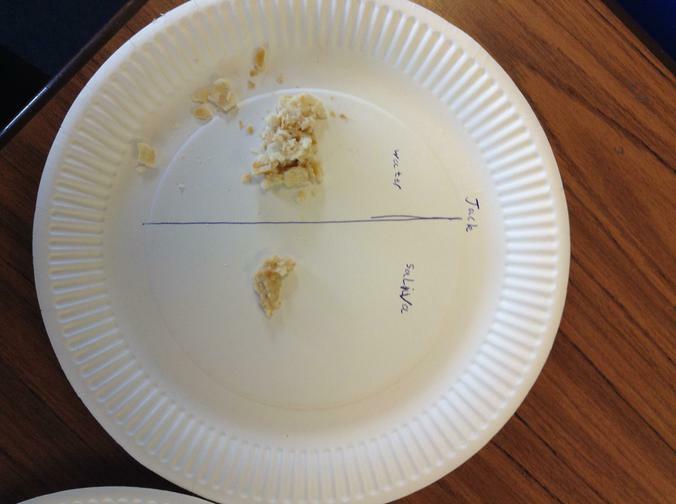 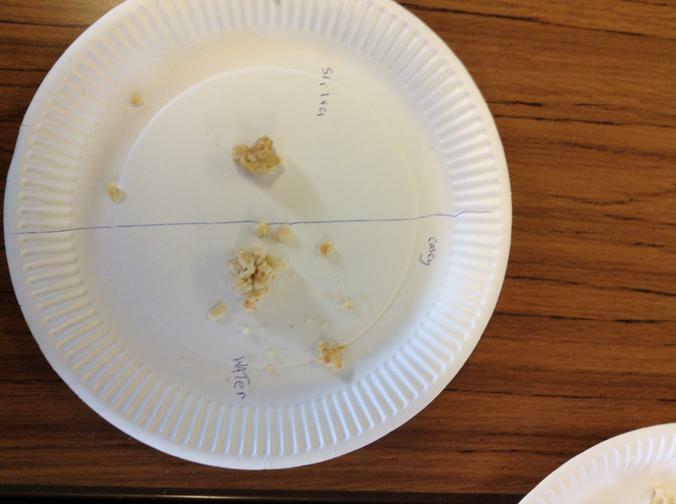 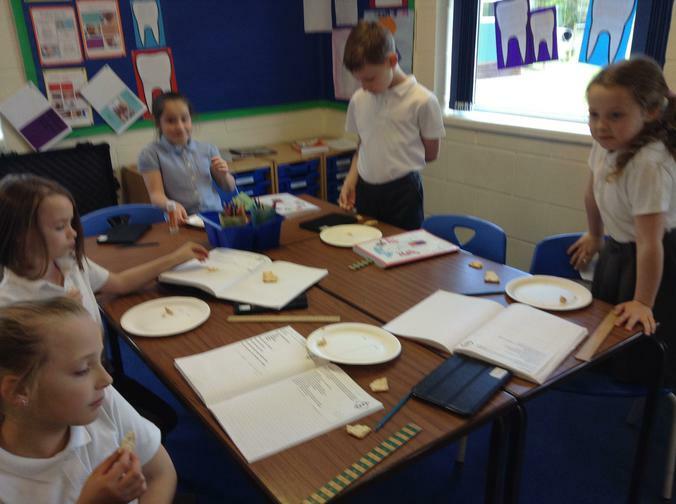 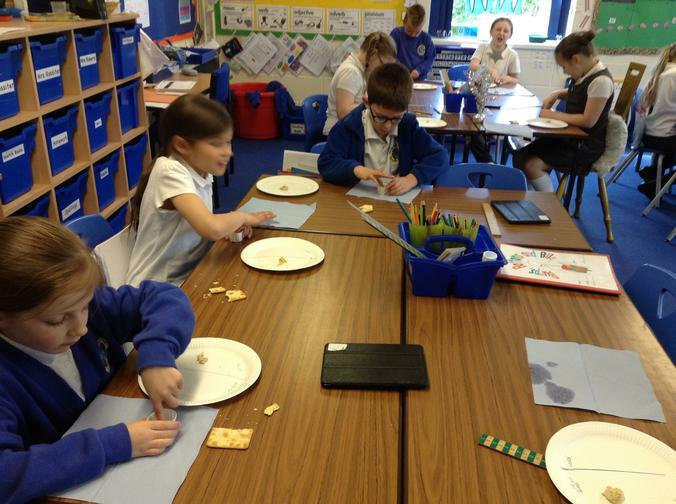 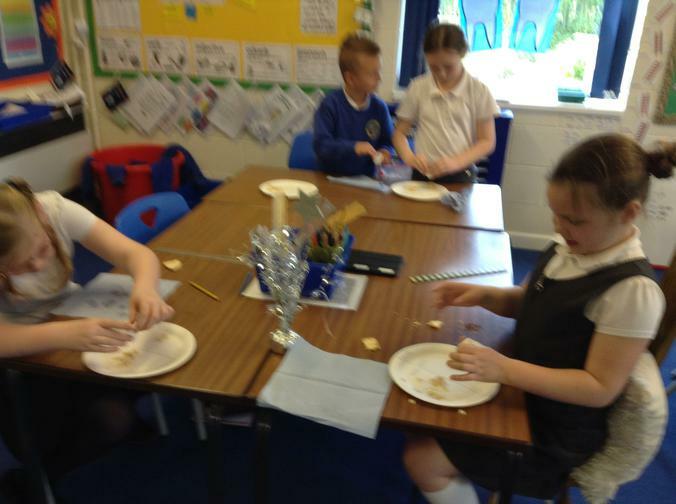 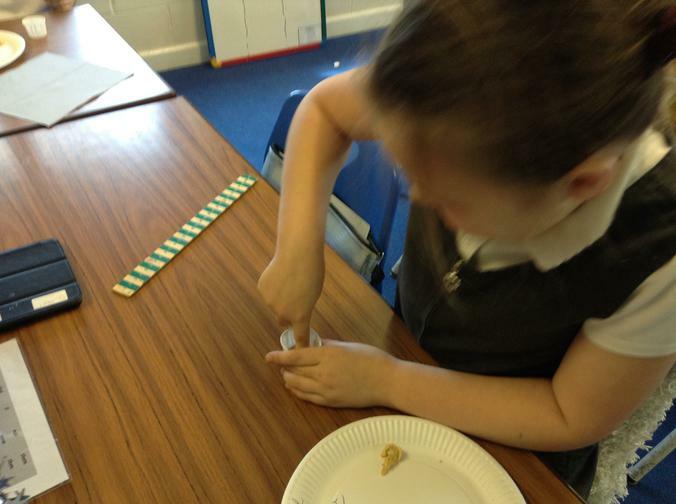 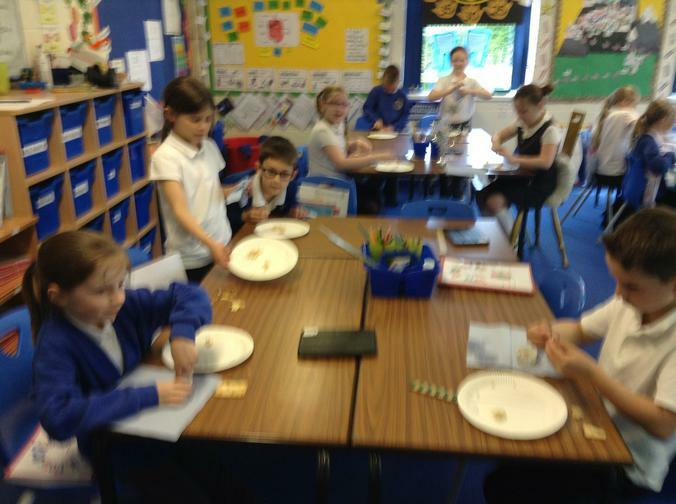 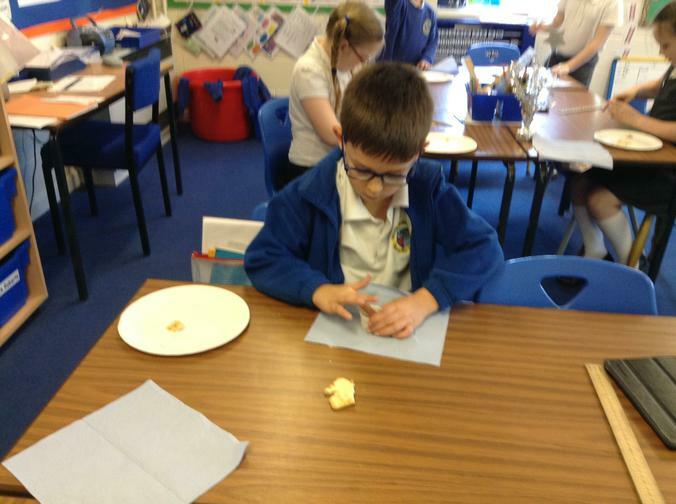 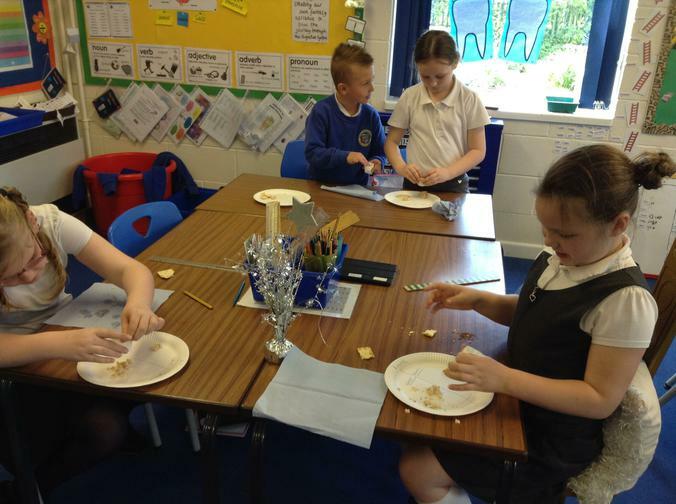 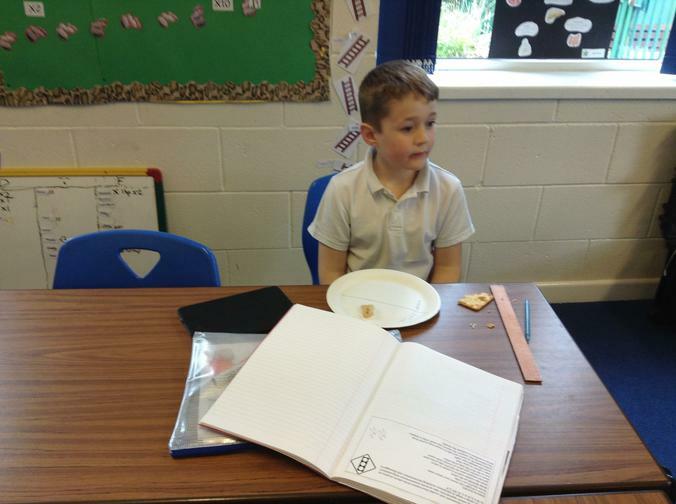 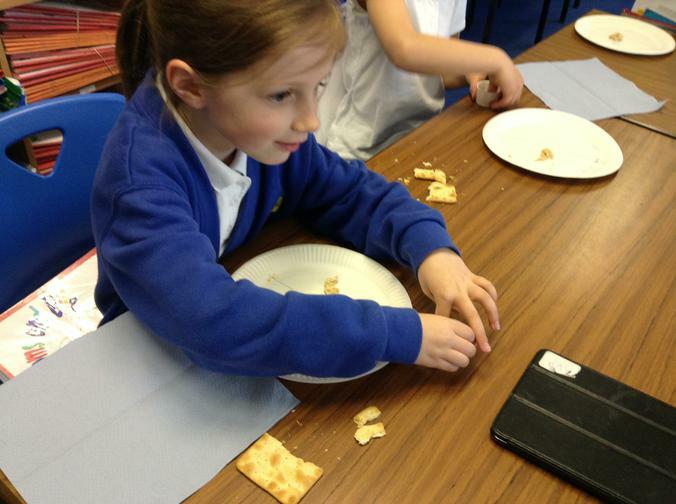 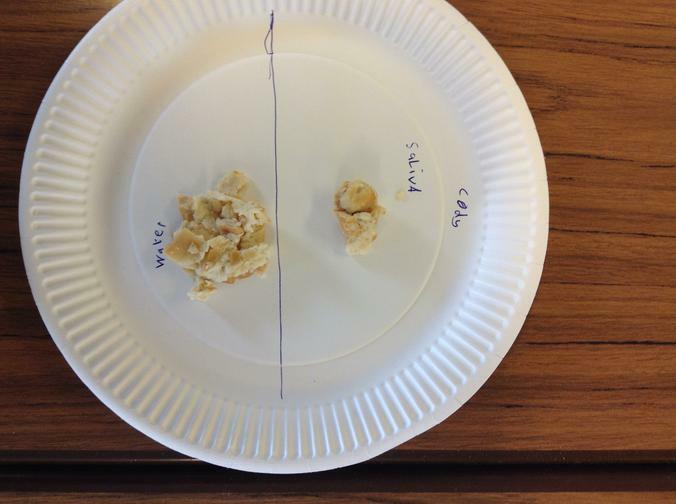 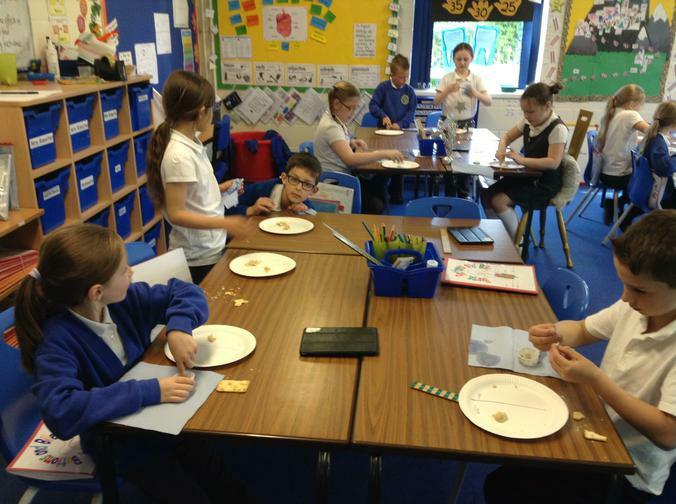 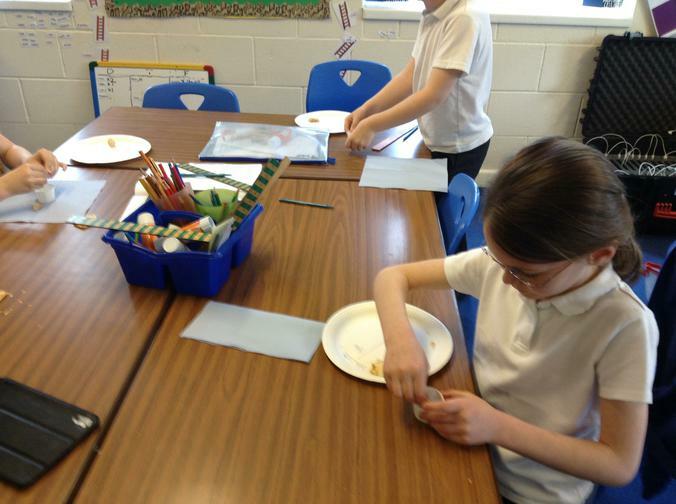 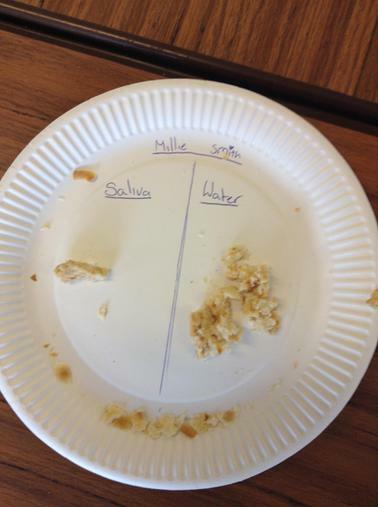 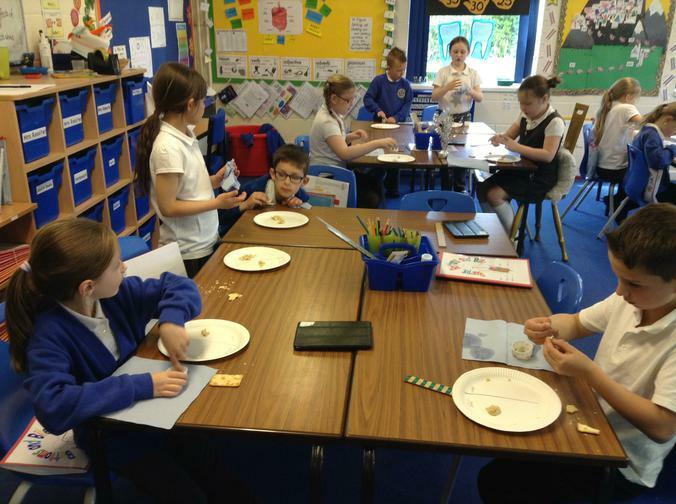 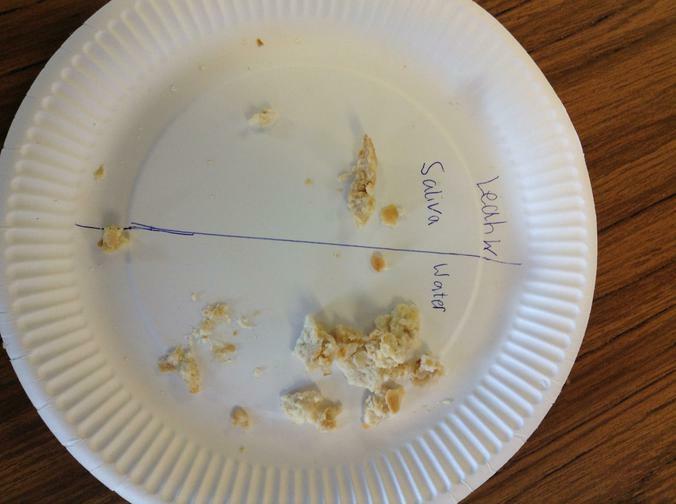 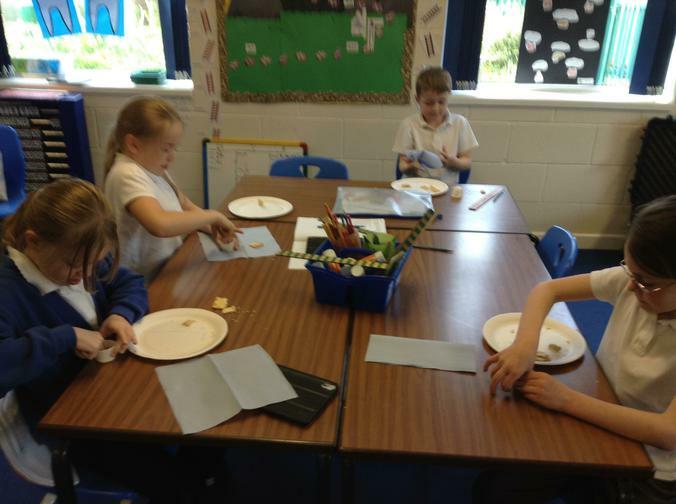 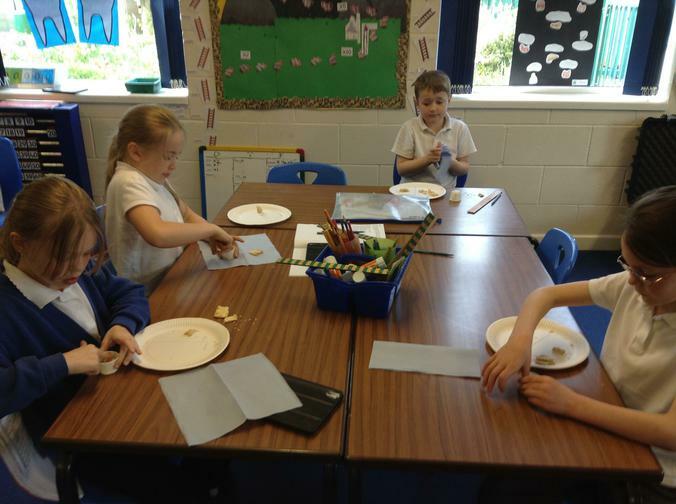 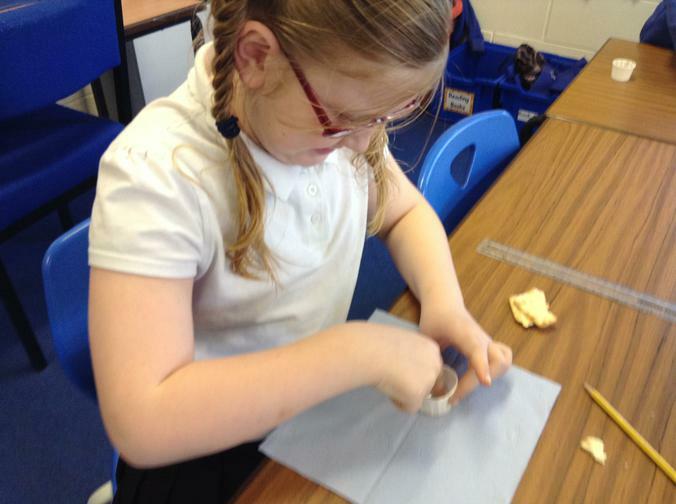 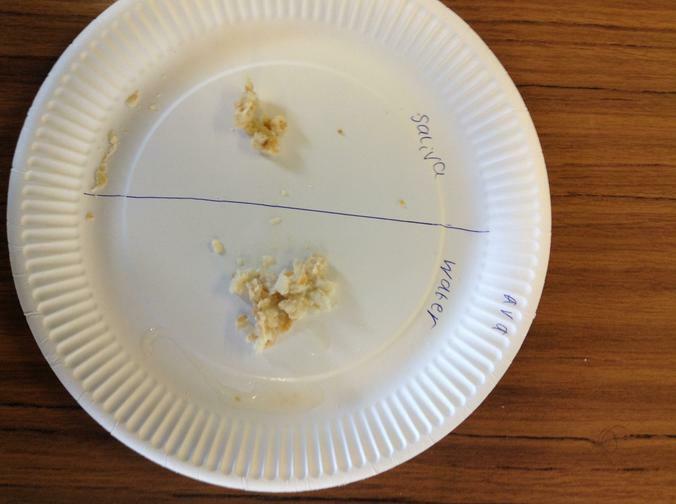 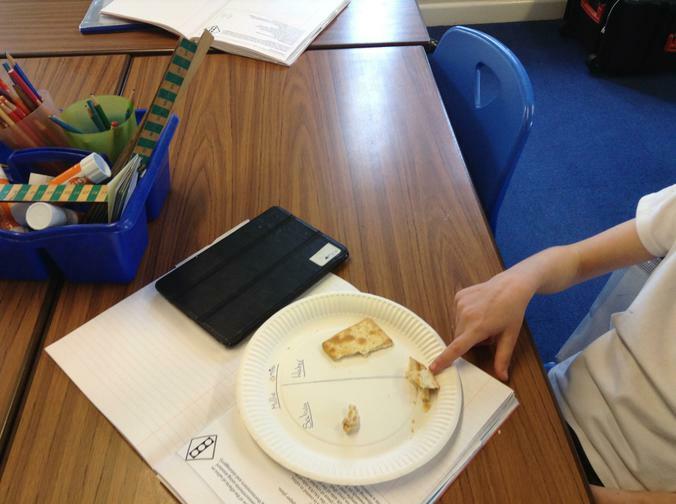 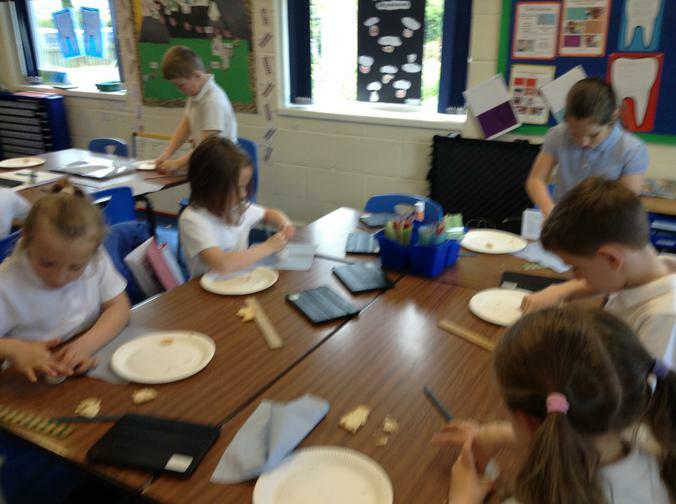 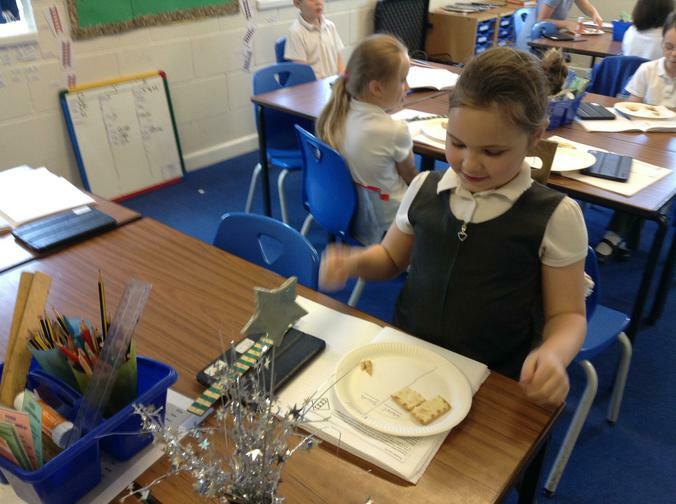 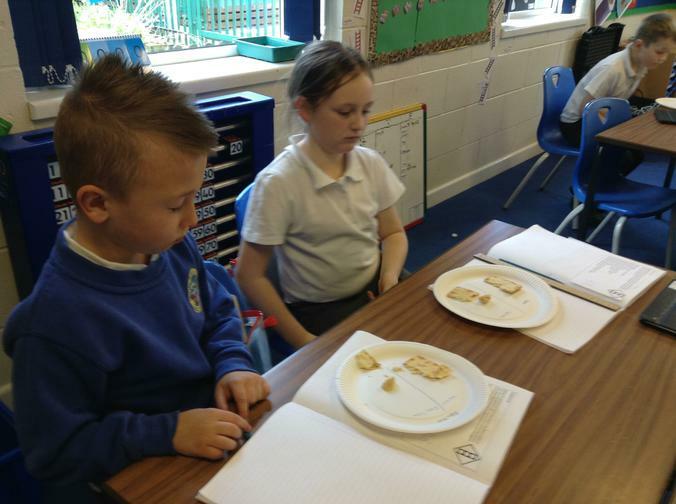 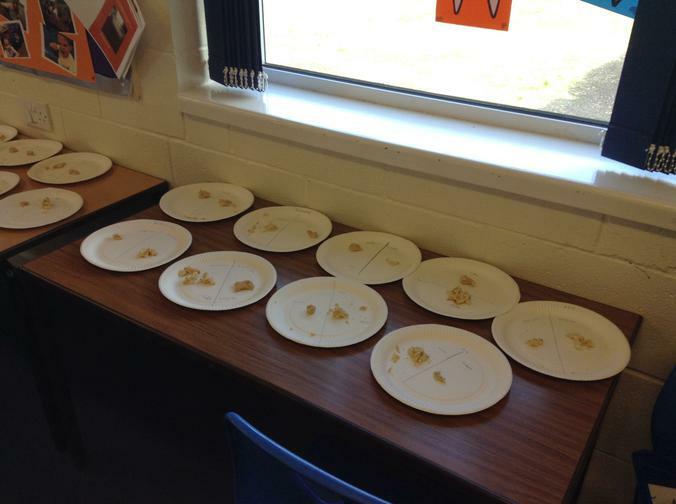 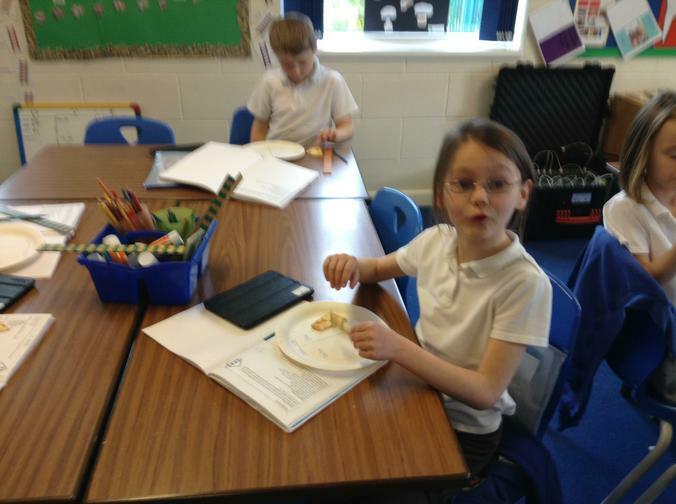 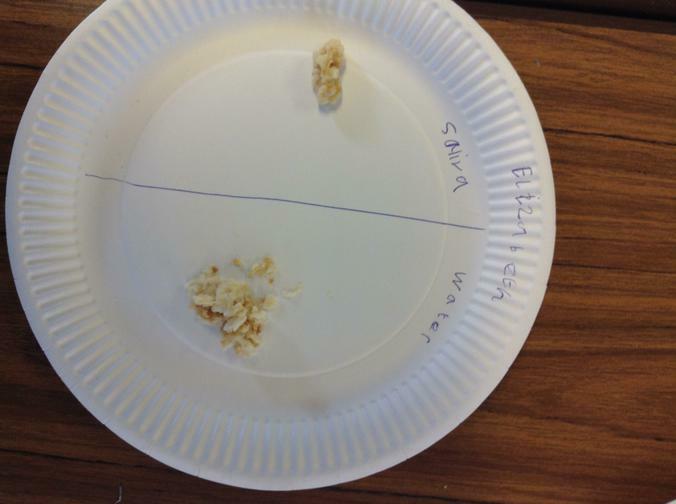 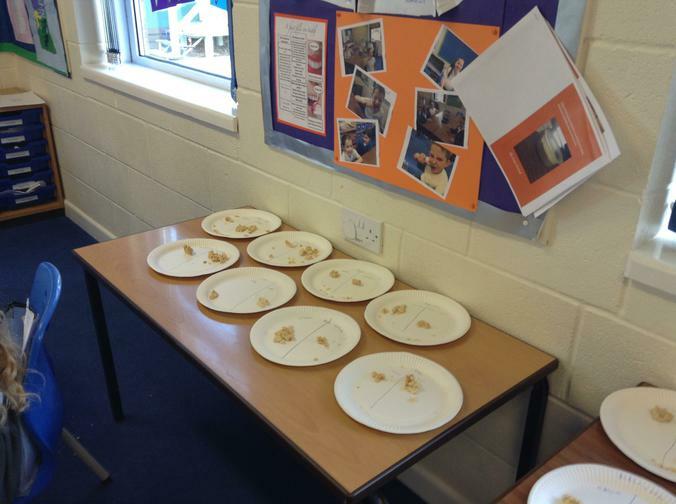 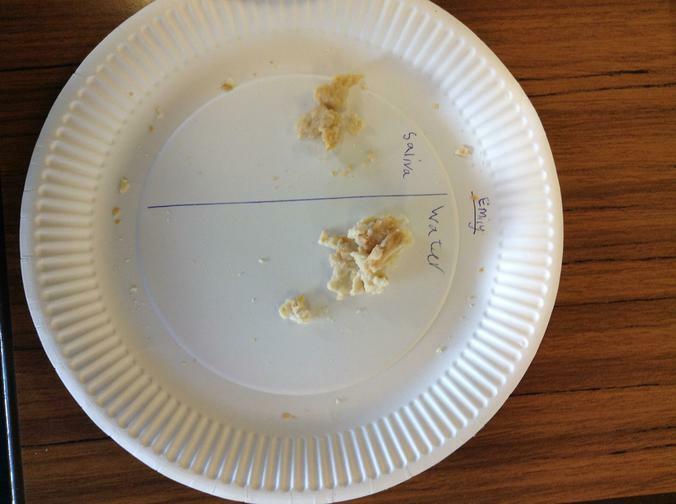 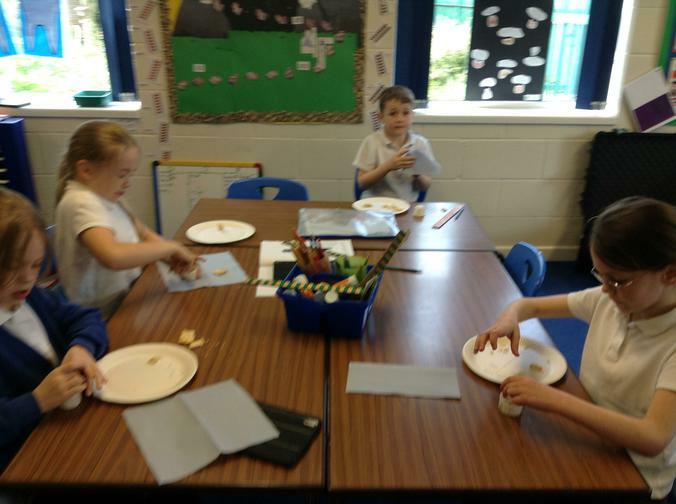 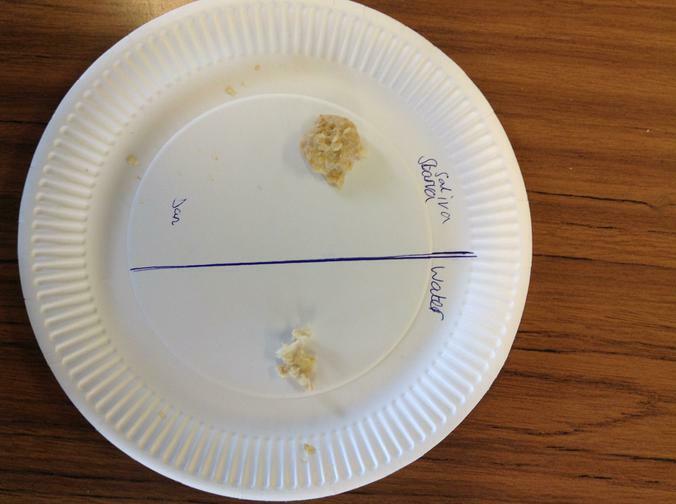 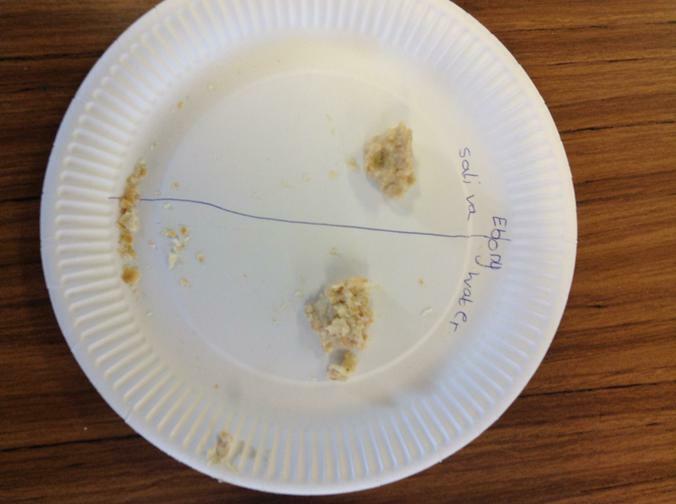 We then spat the cracker onto a plate and then repeated the process using water to make the cracker soggy. 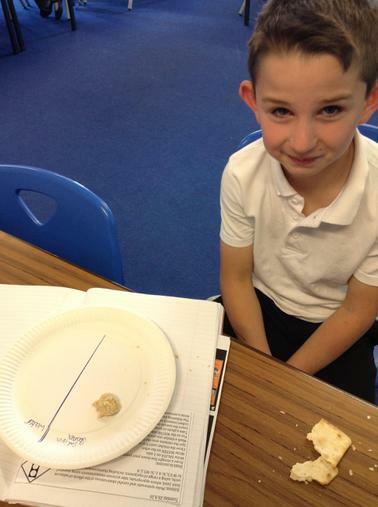 The following day we examined the specimens to compare if there was any difference in the smell or texture. 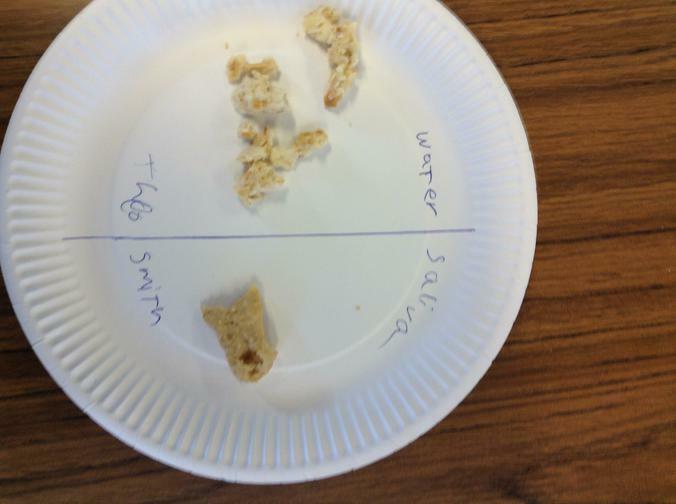 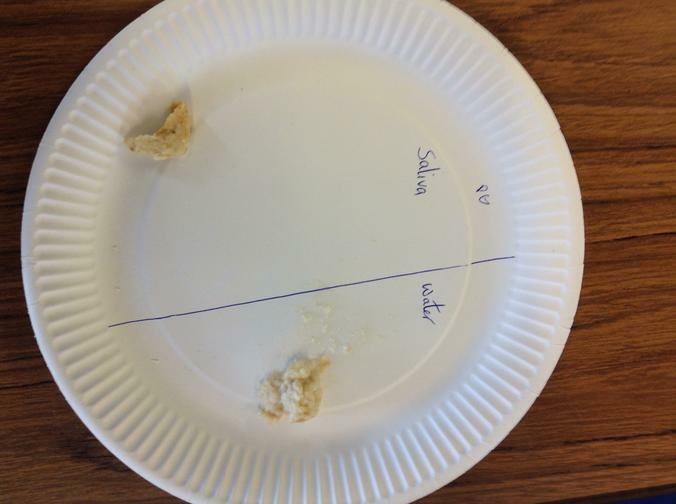 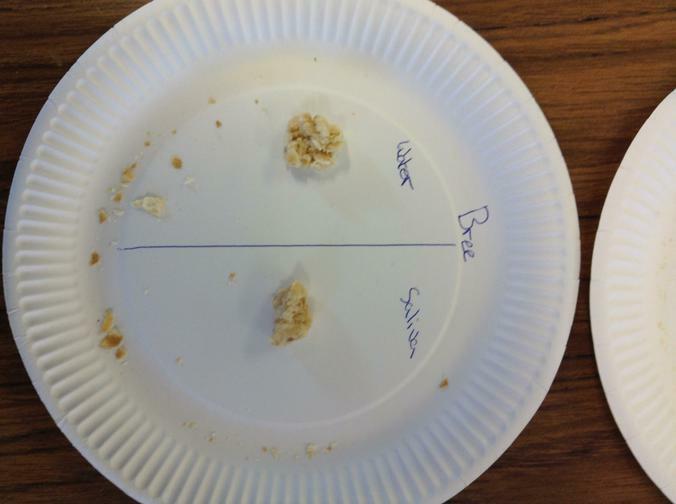 We noticed that the saliva kept the cracker in one clump while the water had dried on the cracker and it was crumbly again. 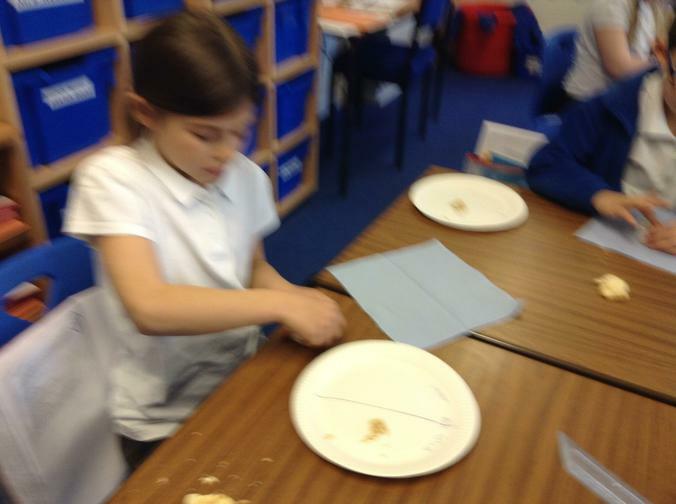 Another thing we noticed was the difference in smell. 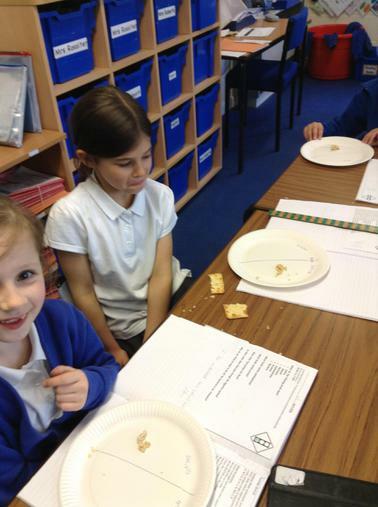 The water specimen still felt of cracker but the saliva had hardly a smell.